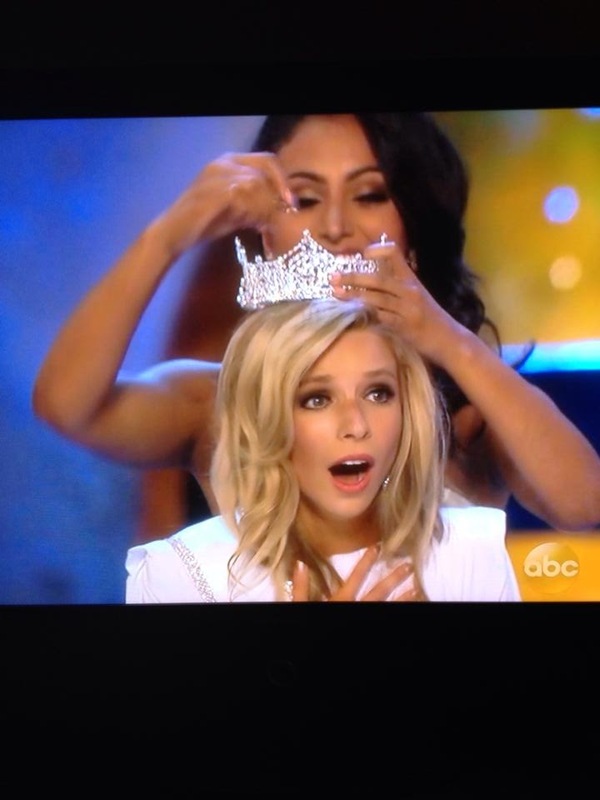 KIRA KAZANTSEV is the NEW MISS AMERICA!!! O – M – FREAKING – G!!! Junkies have a ZILLION things going through our minds right now… it’s been all of 45 minutes since Miss America 2015 was crowned and I have much to say! You might want to make sure you have enough time to read this before you get started!!! FIRST – Junkies wanna offer a HUGE CONGRATULATIONS to Kira… As we all know, earning the title of Miss America isn’t easy – and it’s a total crap-shoot (again – we use that term affectionately). You’ve got to get 7 different people (the judges) to love you all at the same time – and Kira did just that! 1. Marketing/Social Media Gurus – Do you know who started the whole “take a selfie while sleeping with your crown on” trend this year? Miss New York. Do you know who has 10,000 Instagram followers? Miss New York. Do you know who has 53,500 Twitter Followers? Miss New York. The girl knows how to get people’s attention via social media – no question about it. 2. Substance Over Style – Lots of people think Kira didn’t answer her final question… But here’s how I interpreted the question… Paraphrasing… “What issue should the 20 women in the Senate take the lead on?” Kira said, again – I’m paraphrasing – “I think the issue they should take up is combating sexual assault in the military. Women deserve to feel safe.” That’s such an open-ended question that many girls would’ve stumbled. You could’ve gone in a million different directions – but Kira (smartly) chose to relate her answer back to her platform and her passion. 4. Fitness – To me, the girl looks like like the most fit Miss America we’ve had in SEVERAL YEARS!!! Can’t argue with her figure! 5. Entertainment Trumps Talent – Ok… Obviously, this point has ruffled a few feathers… So, let’s start by being honest. The girl sang a Top 40 song while sitting on the ground, criss-cross applesauce, and played ‘the cup’. You may think it’s hokey – and you may think it’s not a ‘trained talent’ – but you need to know that Anna Kendrick’s ‘cup song’ has 155 MILLION views on Vevo!!! Little girls across America think the cup song is fun and adorable! That makes Kira extremely relateable to them – rather than Miss America’s previous reputation of being stuffy and aloof. Here’s the deal… Once you have a Top 15, you use the girls’ composite score from the Prelims (worth 30%) plus the next phase of competition. So – even if you have the best swimsuit of the night, if your composite score barely got you into the Top 15, you don’t necessarily advance. That’s how it works all night – UNTIL you get to the Top 5. After all the ladies in the Top 5 have answered their final question, the scores are thrown out. They don’t matter at all. Instead – each of the judges is given a “final ballot”. On that final ballot, each judge ranks who he/she would like to see as the Winner, 1st runner up, 2nd runner up, etc. The girl who was in 5th place (but made it into the Top 5) can be named the winner if enough judges list her as the winner on the final ballot. So here’s what that means… Once you’re in the Top 5, the judges no longer care about your talent. They no longer care about your size 2 or your size 8 figure. They no longer care about your Tony Bowls evening gown. The only thing they care about is – who is the most articulate contestant under pressure? Who’s the girl they fell in love with during the interview? That’s who usually wins the pageant. In summary – that’s how Miss New York won (again) 🙂 Plus, I gotta be honest… I feel like Kira isn’t anything like Nina or Mallory… and if she was from a different state, she might be getting a bit more support! She is sophisticated and approachable. She is warm and natural. She was probably completely relaxed, having the time of her life this week, because never in a million years did she think they’d give it to NY 3 times in a row!!! Although Junkies loved Arkansas and Virginia – I really think the judges got this one right. AND NOW – on to some other awards given away last night! Finally – There’s hardly ever a year when EVERYONE thinks the right girl won Miss America. There’s always going to be some detractors – I get that. 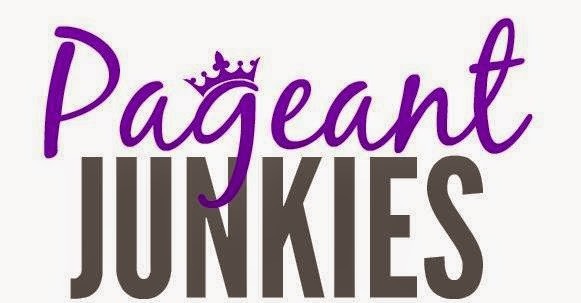 But you gotta remember… Junkies started this whole movement because we were frustrated by all the negativity that existed in the online pageant world – and wanted to bring a “more positive tone” to online pageant commentary. Everyone’s welcome to have an opinion, but message boards and other online outlets are already full of rude and disparaging comments against contestants – Sometimes it’s downright hateful! At the end of the day, if you’re a Junkie and you feel the need to make ugly comments about any winner (your state or Miss America), then I have not done my job. I will keep going and do my best to remind everyone what the Junkies stand for. You don’t have to agree – but we’re not here to contribute to the problem! We’re here to make an impact in a positive direction. FINAL PREDICTIONS for MISS AMERICA 2015!!! THE DAY HAS COME!!!! OH MY GOODNESS – IT’S SOOOOOOOOO EXCITING!!!! Tonight we crown a new Miss America – the equivalent of a Pageant Girl’s Christmas Morning!!! Ok – for all our new Junkies, here’s the way the pageant will breakdown tonight! – After the “Parade of States” and the introduction of Nina Davuluri, we’ll find out who is named “America’s Choice”. It’s possible the state chosen is also one of the judges favorites – but America’s Choice is the lady who finished with the most votes. – Next, the ladies with the Top 15 cumulative scores will be named the Top 15. All 16 ladies will then compete in Swimsuit. – Although Miss America usually has a few tricks up their sleeve regarding the ‘elimination rounds’ – here’s what’s happened in years past… The 16 contestants will be narrowed to 12 – and those 12 ladies will compete in evening gown. Again – something may be different from here forward – based on whatever Miss America decides to do this year. – Then 12 contestants in Evening Gown become 10 contestants in Talent (two girls are left sitting on the chairs with Chris Harrison). – After Talent, the Top 10 are narrowed down to the Top 5. The Top 5 then answer the ever-popular “On-Stage Question” and the judges rank each of the Top 5 according to their personal preferences. – Nina takes her “Final Walk” – and Chris Harrison will announce the runners up and our new Miss America!!! Also – be sure you’re following your favorite contestants on Instagram… Miss America has alluded to the fact that there will be a ‘surprise’ during the telecast tonight that’s announced on Instagram! Wonder what it could be??? If we pick your state tonight – We hope she proves us right! And if we don’t pick your state tonight – We hope she proves us wrong! And with that! Here’s our picks for MISS AMERICA 2015!!! Here’s the deal… If Kentucky finishes as the 1st runner up, then I’ll be uber-thrilled! And you know what? If she wins it all – then we’ll consider that a Big Junkie Win as well!!! GOOD LUCK LADIES!!! ALL THE BEST!!! Yes – It’s FINALLY that time of year… it’s MISS AMERICA WEEK!!! Can you believe we’re going to crown another Miss America in JUST SIX DAYS??? It’s so hard knowing we aren’t going to be sitting in the audience, or strolling on the boardwalk… or buying ‘new bling’ from trade show… or getting totally drenched by an unexpectedly large wave from the Atlantic Ocean when you thought standing in “knee deep” water was safe! LOL! But enough reminiscing!!! It’s Business Time!!! INTERVIEWS BEGIN TODAY – which means, PRELIMS BEGIN TOMORROW – which means… JUNKIES POST PRELIM PREDICTIONS TOMORROW!!! WHOOOOOOOOOO HOOOOOOOOOOOO!!! 1. Two awards are given on Tuesday, Wednesday and Thursday night… one for Fitness in Swimsuit and one for Talent (no on-stage awards for Evening Gown or On-Stage Question). Three nights of prelims times 2 awards each night means 6 awards total (who says pageant girls can’t do math? GO STEM!). 2. Ever since we began making prelim predictions, we’ve been listing 4 states each night as our potential winners. However, because Junkies went a perfect 6 for 6 last year, this year, we’re only going to select 3 states per night and 1 “bubble” state (lol)… This is basically our way of making things a bit harder – and seeing if we can still pick prelim winners each night! 3. To provide complete disclosure… I’ve seen 4 of this year’s contestants in person and have only met 1 of those 4 ladies in person. 99% of our research on our picks is from online research alone. Until then – NOW IS THE TIME for you to begin making your own lists! Feel free to “play along at home” and create your own list of potential prelim winners for each night! Seeing your predictions is what makes this whole thing FUN! Plus, it reminds us that the Junkie-Nation is alive and well! So grab a pencil (because every time we grab a pen, we regret it!) – go back and check out the contestant lineup above – and let’s get this party started!!! MISS AMERICA 2015 AWAITS!!! Until then – Toodle – Loo!!! 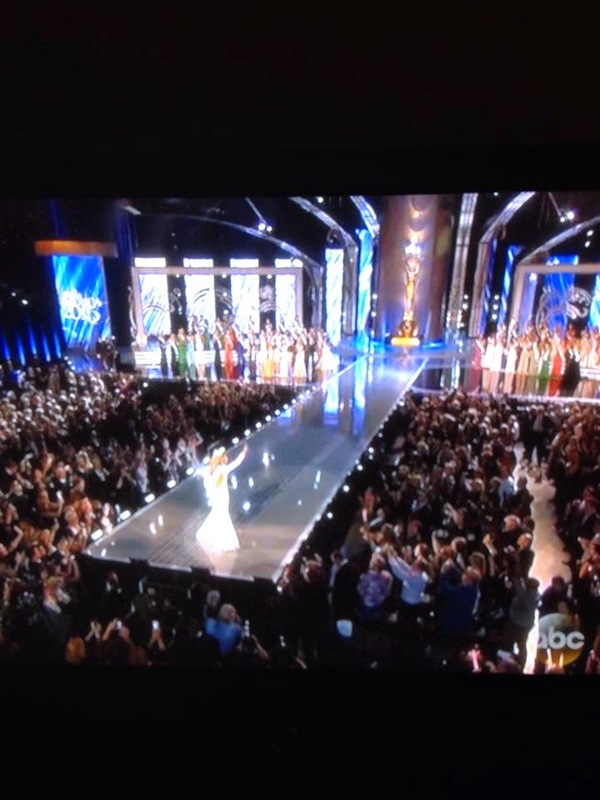 JUDGES POST – MISS AMERICA 2015!!! When you have 53 articulate, intelligent, talented and overall fabulous ladies competing for the Miss America crown, it is darn near impossible to figure out who really is “better than the rest”. That’s why the judging panel is important. As a contestant, in order to be successful at Miss America, you need to know who’s judging, then leverage that information in order to “connect and impress” in both the interview, and on stage. This school of thought isn’t fully without merit. In fact, Miss America 1995, Heather Whitestone comes to mind… (hope you got to see the YouTube clip we posted of Heather yesterday!) I truly think that girl was going to be Miss America regardless of who was on the judges panel – Case Closed! But, for everyone else who thinks Miss America is kind of a “crap shoot” (and I use that term fondly), then, we say it might be a good idea to discover how you can “connect and impress” the 7 people who hold the fate of the crap-shoot in their hands (lol!). 2. Substance Over Style – No Divas here! These people were not entitled – Far from it!!! They all started at the bottom and busted their tail to take their career as high as they possibly could. That tells us this panel will likely choose a hard worker – and someone who is extremely grateful – as opposed to someone who thinks they’re better than the rest and “deserves to win”. If you’ve mastered the pageant interview but can’t translate those skills into real life, this panel is going to see right through you. These people can’t be fooled. 3. Street-Smart and Business Savvy. These judges don’t fit “inside the box” that others have painted for them. Think about it… in several cases, when everyone thought they had already given all they could offer in a certain career path, they reinvented themselves to become something more (Driver, Johnson, Ireland, MacDonald). You can’t do that unless you have a rock-solid belief in yourself and refuse to let others tell you what you can and can’t do. That means, they’re looking for someone who’s multi-faceted, won’t crumble under a bit of pressure, and has the ability to ‘surprise’ people who think they might have you pegged. 4. Hello Fitness! With an NFL player, an Olympic Gymnast and a Super-Model on the panel – you can bet swimsuit is going to be a factor this year. Some people say although we’ve been crowning “good” swimsuit bodies – we haven’t been crowning the “most fit” girls in recent years. I’m guessing that changes this year and we’re gonna crown a solidly fit contestant in September. 5. “Entertainment” Trumps “Talent” – No big change here… This is what we’ve seen with the last 2 Miss Americas. You don’t have to be the most technically skilled contestant to win – But you most certainly have to be entertaining. If you’re technically sound but not entertaining, Junkies hope you add some ‘spark’ to your routine immediately. We’re not saying a “Talent Queen” has no chance of winning – we’re saying you’ve got to have “Entertainment Value” – period. And there you have it! I suspect the woman who will be crowned Miss America 2015 will be social media savvy, someone who has inner-strength, who is engaging, personable and unstoppable. The question is… Who will she be…??? Only THIRTY-TWO more days until we find out!!! JUNKIES TOP 10 and TOP 5 BLOG! Everyone always wants to know our Top 10/Top 5… And trust me – that list is coming soon enough! But in the meantime, we compiled the Top 10 and Top 5 states who had the most ‘hits’ or pageviews on our blog – and now’s the time to share THAT list with you! However, before we ‘announce the final results’ we thought we’d take a few moments to answer some additional questions that have come up… Always love going to the Junkies Mailbox… 🙂 Here goes! So, Junkies went 45/51 and missed 6 states this year… Which states did you miss? – We missed Vermont, New Hampshire, Nebraska, Pennsylvania, Arizona and West Virginia (BOO!). It’s our 2nd time in a row missing New Hampshire (Ugh!) – all other states were correctly predicted last year – and you can bet, these states are on our radar for next year! Just curious – Did you have a “perfect state” that you picked this year? Just curious – How many total contestants were there this year? – 1408 contestants. That’s right – 1408. Because 51 of the 53 pageants were held in 8 consecutive weeks… that means, on average, we were researching 176 girls every week for 8 solid weeks!!! Most people only care about 1 or 2 state pageants – but our job is to research 176 girls every week. This alone is one of the biggest reasons why we continue to say, “we’re not perfect”… that’s a whole lot of research in a short amount of time and we fall short every once in a while. I don’t understand – I thought Miss America had 53 contestants? Didn’t you do 53 state blogs? I don’t understand – How did you get 189 out of 253 when it comes to predicting the Top 5? – In the state of Wyoming, they offered awards for the 2nd runner up, 1st runner up and winner… Hence, “3” in the state of WY and Top 5 everywhere else. And once again, I didn’t count Maine or Virgin Islands because we listed everyone instead of choosing only 1 or 2 names. Honestly, I don’t care about all that stuff… Just tell me… WHICH STATE RECEIVED THE MOST PAGEVIEWS on your BLOG??? Florida – Georgia – Oklahoma – Pennsylvania – Arkansas – Rhode Island – South Carolina – Alabama – California and Tennessee!!! The 4th Runner Up – MISS OKLAHOMA – Alex Eppler! The 3rd Runner Up – MISS TENNESSEE – Haley Lewis! The 2nd Runner Up – MISS SOUTH CAROLINA – Lanie Hudson! The 1st Runner Up – MISS CALIFORNIA – Marina Inserra!!! 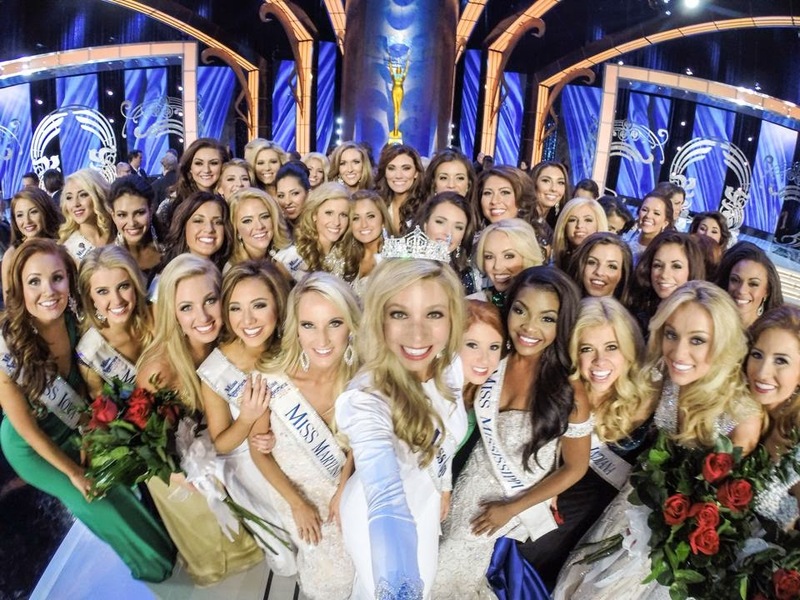 And The State with the Most Pageviews on the Miss America Junkies blog for 2014 is…. MISS PENNSYLVANIA – AMANDA SMITH!!! CONGRATULATIONS LADIES!!! These 5 states accounted for more than 9000 pageviews and obviously have INCREDIBLE FANS!!! Thanks so much for making this year’s “Junkie Prediction Blogs” so much fun!! !